Going on a road trip through Spain, especially if it´s a Southern Spain Road trip, always exceed our expectations. 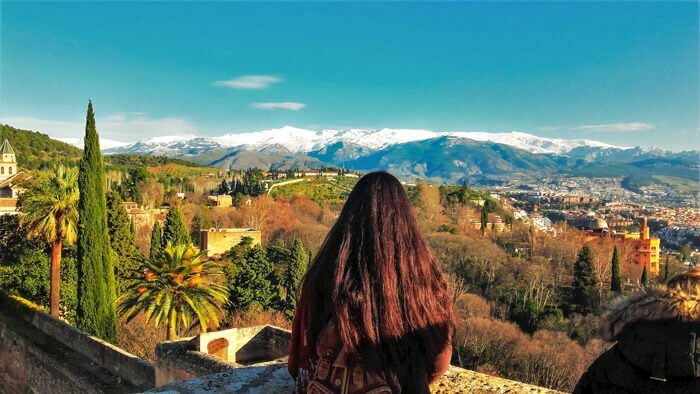 I don´t know if it´s for the unlimited possibilities of what to visit or for the freedom of leaving behind our country with a map in one hand and our Andalucia itinerary on the other. What can you visit in the Andalucia region? The options are more than many. 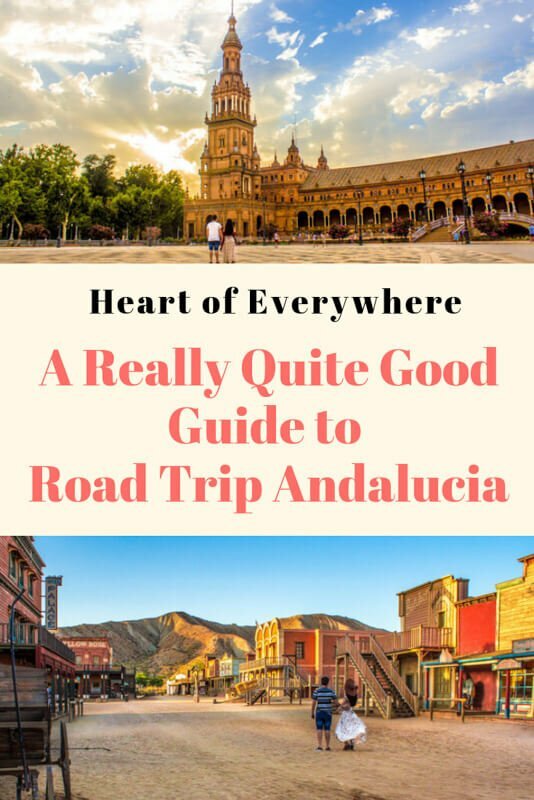 This itinerary of Andalucia is packed with great ideas of what to visit in Southern Spain. Here, we reveal all our favorite places. The best-known and touristy, but also some Andalucia hidden gems. 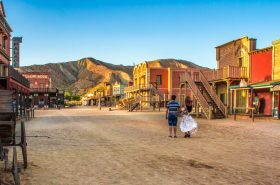 Those places that few still know as the pink lake of Torrevieja, the troglodyte city of Guadix, the Tabernas Desert and others that you will soon discover. And, as usual, you can count with our suggestions of unique and charming hotels. Spain is divided into 17 regions or Autonomous Communities: Andalucia and Murcia are the southernmost regions. In this article, we will focus solely on Andalucia and its many charms. Andalucia, the second largest Spanish autonomous community, exudes Arab influence through its pores. 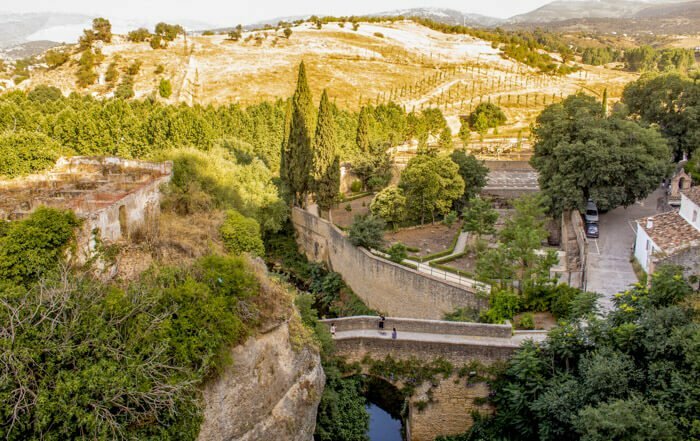 Visiting Andalucia allows us to not only witness but also admire the majestic architectural legacy that the Moors left in this part of the Iberian peninsula. The name Andalusia is even derived from the name that the Muslims gave to the South of the Iberian Peninsula, Al-Andalus. There are eight provinces of Andalusia: Almería, Cadiz, Cordoba, Granada, Huelva, Jaén, Malaga, Seville. Note: In this itinerary of Andalusia, the places are organized and grouped according to the distance to each other, so as to optimize the management of the places that anyone chooses to visit on your road trip through Andalusia. 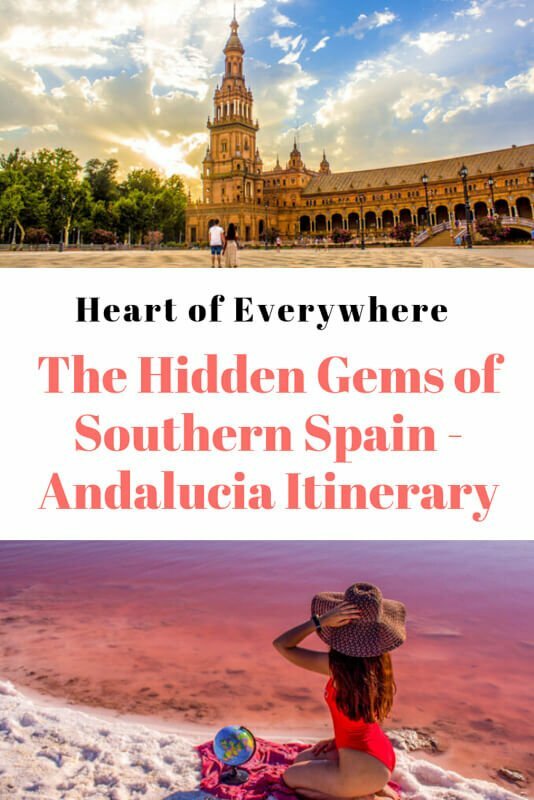 Although it is not impossible to visit all the places we suggest, the main objective with this guide is to make known the points of interest of Andalusia so that they can create your dream itinerary in the South of Spain based on your interests. Beach, mountains, cities with history, Andalucia has it all. Seville is the fourth largest metropolis of Spain. It´s one of those cities that you plan to visit just once, but it will grow on you the desire to return for a second or even a third visit. That´s what happened to us. We visited Seville a few years ago and now we can never get enough of Seville. Luckily, it´s not far from where we live in Portugal. If it´s your first time in Seville, when you enter the city and cross Guadalquivir River, most likely, you don’t know what to expect. But when you venture through its streets and casually stumble upon monuments such as the General Archive of the Indies , where documents referring to the Spanish discoveries and its former colonies are kept, including personal notes of navigators and historical documents such as the Treaty of Tordesillas. 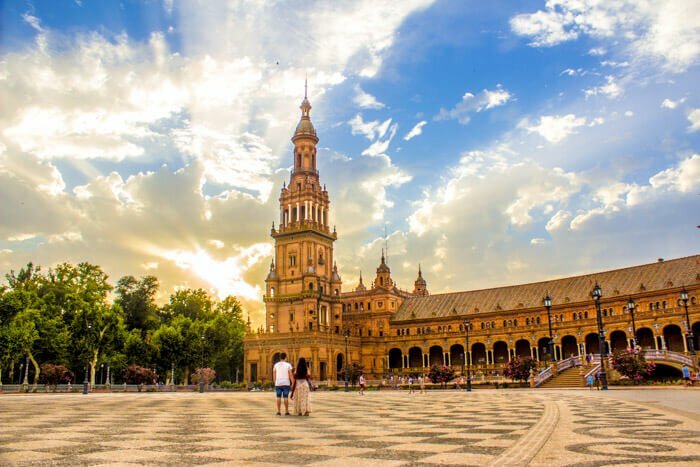 Or the mesmering Plaza de España, you then realize that this city was generously gifted with more than it´s blazing hot summer temperatures. Cadiz is a small coastal town, one of the oldest in Western Europe. Its architecture reveals the diversity of the people who inhabited it. It is said that on clear days you can even contemplate Africa on the horizon. Arcos de la Frontera is one of the many picturesque villages that you´ll find along the Route of the White Hill Towns – Ruta de los Pueblos Blancos. Despite the pitch-black darkness of the night, while driving to Ronda we noticed some signs announcing that we were passing by a place of interest: Zahara de La Sierra and Sierra de Grazalema. It was late and we were unable to see the scenery in front of us, so we kept driving and wondering what this village would look like. A year later, we returned, and Zahara de La Sierra didn´t disappoint us. The water was deep blue, it had a castle on the top, and a small mountain range as the backdrop. It was even more beautiful than we imagined. Setenil de Las Bodegas, was not completely unknown to us. We had already seen a couple hundred photos of this small village with a little more than 3000 inhabitants. The peculiarity of Setenil de Las Bodegas lies in its unique architecture. Unlike Ronda and Arcos de la Frontera, the houses are not perched on cliffs. In Setenil de Las Bodegas, you´ll find massive rocks that seem to be laying on the top of the houses. Ronda lives in the imagination of those who dream about visiting one of the most romantic Andalucian cities. On our road trip through Andalucia, we made a short stop at Ronda and we truly regret not having spent a full day there. We would love to return and spend a day or two in the city to have the opportunity to walk freely through the Jardines de Cuenca and by the River Guadalevín. 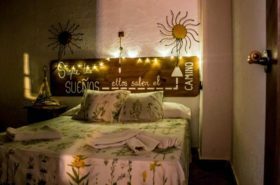 Due to the discovery of Hotel Los Castaños a simple yet charming hotel with panoramic views of the mountains, we decided to include Cartajima in this itinerary. Andalucia villages are characterized by its whitewashed houses, but Juzcar stands out of the other villages for its navy blue houses. In Juzcar, the walls were painted blue to promote the Smurfs movie in 2011. And, to this day, the inhabitants decided to keep this peculiar color. Besides being an adorable mountain village, Genalguacil surprised us for having more to offer than its expected beauty. The reason to blame is an artistic initiative that began in 1994 and endures to this day – the bi-annual art festival “Los Encuentros de Arte del Valle del Genal“, which takes place in the first fortnight of August . Thanks to this initiative this small village has become an open-air museum. The works created during this event, all the murals and sculptures, remain in the streets of Genalguacil so that their visitors can enjoy the art regardless of the time of year. Both Estepona and Marbella are located in Costa del Sol, one of the favorite destinations of beach lovers when in Andalucia. While searching for accommodation in a ton of different cities in Andalucia, Marbella surprised us for its huge amount of luxurious hotels. Marbella is the destination of choice for the elite of tourists and lovers of refined experiences. The proof of this is not only the quantity of wonderful hotels, but also the abundance of yachts in Puerto Banus. Or the fifteen golf courses in the city. In, Estepona, there is a Hotel / Theme Park / Zoo, the Hotel Selwo Lodge, whose theme is African safari. It has simple accommodation in stone cottages and includes entrance to the park. Mijas is another coastal village on the Costa del Sol. However, describing Mijas merely as a coastal village is to belittle its true splendor and the beauty of walking through its labyrinthine white streets adorned with colorful flower pots. Malaga is the second largest city in Andalucia and the place of birth of Pablo Picasso. At Museu Picasso Malaga, you can contemplate many of his works. Malaga has more to offer than sun and beach. And, it is also the hometown of Antonio Banderas. Frigiliana is often mentioned as one of the most beautiful villages in Andalucia. Truth to be told, it is difficult to elect solely one pueblo as the most beautiful in the whole region. But there are no doubts left that Frigiliana is a good candidate. 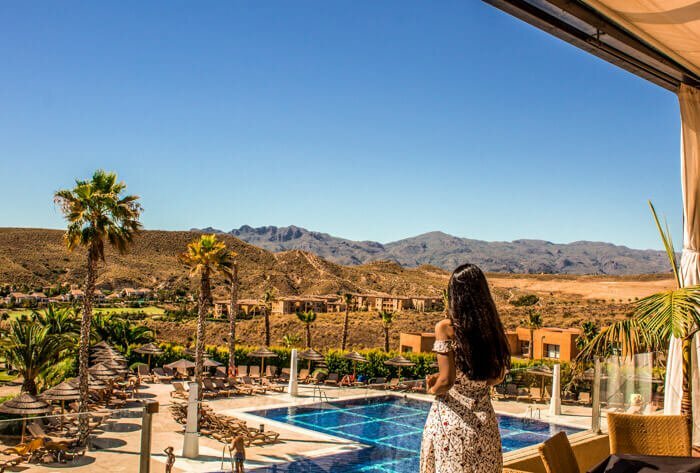 Frigiliana and La Posada Morisca caught our attention with its infinity pool and panoramic views across the Sierras de Tejeda, Alhama and Almijara Natural Park. The first image of Nerja that I ever came across was an image of its aqueduct, built in the 19th century, and considered, today, one of the jewels of Spanish architecture. The aqueduct, however, is located 8km away from Nerja in the Barranco de la Coladilla de Cazadores. Nerja with its mountains and deep blue waters, surely, deserves at least a short visit. The province of Almeria has a lot to offer to its visitors. 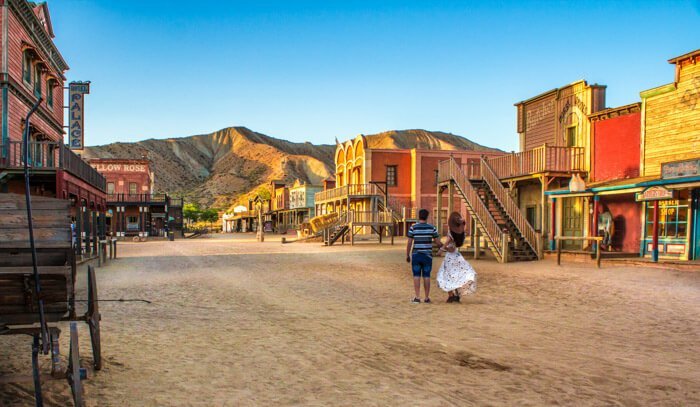 It has sea and beautiful beaches, but it also has a nearby desert, the Tabernas Desert where you´ll find surprising and unusual landscapes for a European continent. Cabo de Gata – Níjar Natural Park is another of the highlight of Almeria province. Cabo de Gata – Níjar Natural Park has lunar landscapes with volcanic origin, beaches begging to be discovered, others already quite popular among tourists. Also, the temperature of the Mediterranean Sea is a delight for those who love to swim in crystalline waters. 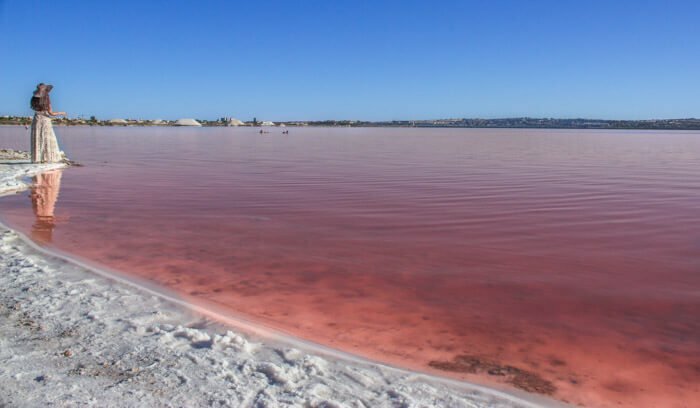 Still in Southern Spain, but already outside of the Andalucia region, you can a find a very peculiar lake, the Torrevieja Pink Lake. 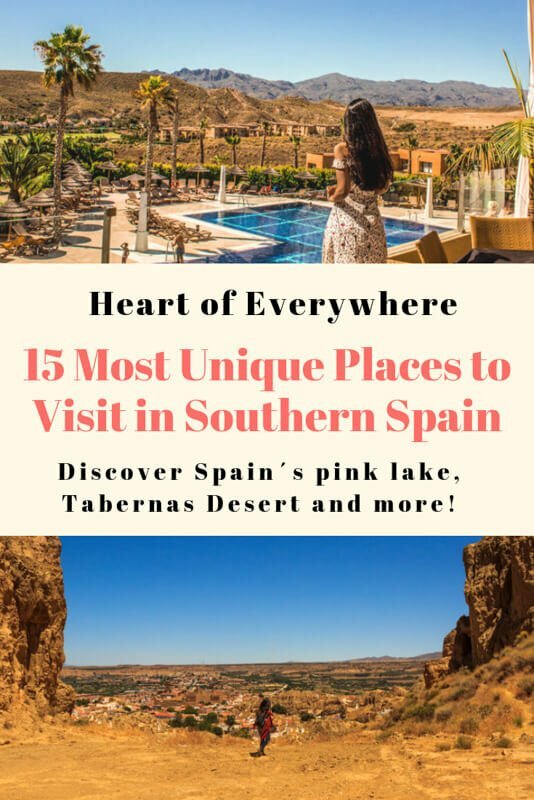 Although, this article promises an itinerary of Andalucia region, it didn´t seem right to exclude Torrevieja pink lake from this list just because it´s not geographically located in this region. 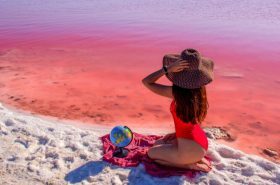 After all, this lake is located only 250km away from the Cabo de Gata – Níjar Natural Park, and it is not everyday that you find yourself so close to visiting a pink lake. This strawberry milkshake-colored lagoon belongs to the Natural Park de las Lagunas de La Mata y Torrevieja. 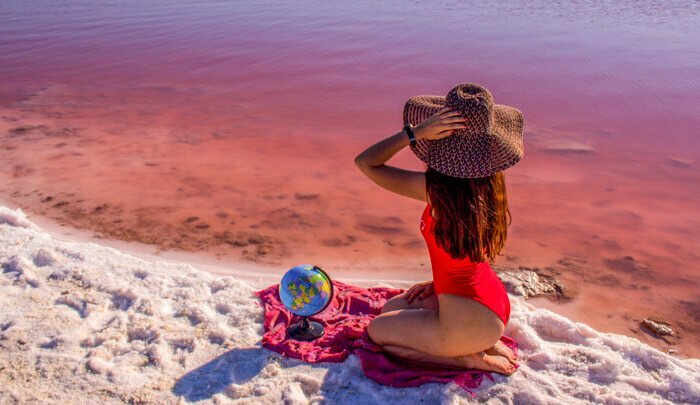 You can find everything you need to know to visit Torrevieja pink lake here in our article: Torrevieja Pink Lake: Discover Spain Pink Lake. Guadix and Purullena are neighbors, located only 6km away. They can easily be distinguished from all the other typical towns of Andalucia. Both are known as troglodyte towns due to its peculiar form of accommodation dating back from its ancestors, the caves. Although these caves are a millennial tradition, many of them, are still today the form of accommodation chosen by some inhabitants. Sierra Nevada is a must visit destination for families looking for some fun in the snow, but also for those who enjoy the beauty of the mountains. In addition to the ski slopes that are the preferred attraction of Sierra Nevada, there are also beautiful villages to visit and walking trails to do. We recommend, especially in the spring and summer, a visit to the pueblo de Monachil and ruta de Los Cahorros. 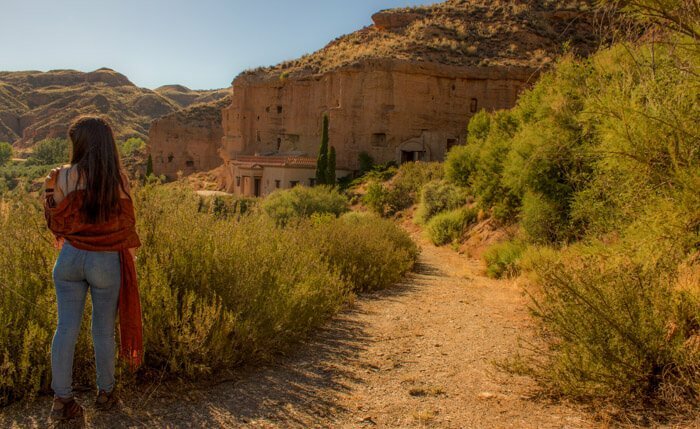 On a visit to Sierra Nevada, you cannot miss the opportunity to visit the last Spanish city to be reconquered from the Moors, Granada. It is the ideal opportunity to contemplate Alhambra (a stunning complex of forts, palaces and gardens), taste a marvelous falafel dinner at Om-Kalsum restaurant and end the evening drinking a hot tea in one of the many Teterias scattered throughout the city. Torcal de Antequera is another unusual landscape that you can only find in the Andalucia region. It was declared a World Heritage Site by UNESCO. This rocky landscape was formed more than 200 million years ago. And it is located 112 km from Granada. Shortly after the reopening of Caminito del Rey in 2015, its popularity hit the pinnacles, and visitors quickly began to arrive from all around the world to traverse the 7km of this memorable trail. Since its primordial existence, Caminito del Rey always attracted tourists and adrenaline junkies, driven not only by the charm of its natural settings, but also because it was ideal for climbers and adventure enthusiasts. Years ago its state of conservation was so archaic that it began to be known world-wide as one of the most dangerous trails in the world. Between 1999 and 2000, four tourists even lost their lives there. A few years later, the Spanish government decided to invest in this path and improve it. So that everyone could walk this wonderful trail in safety. In order to do the Caminito del Rey you will have to book and buy tickets in advance. Please don´t arrive late. When we celebrated a year of being together, we planned a trip to Spain, whose main objective was to walk Caminito del Rey. However, we got lost on the way and we arrived 30 minutes after the time set on our ticket. And we were not allowed to do the trail. Córdoba and its mosque-cathedral attracts more than one million visitors a year. Another of the city’s great attractions is the annual Courtyard Festival and Contest – Patio Festival which takes place in May. The flowery courtyards of Cordoba are private property, but during this festival, the inhabitants open their doors to the curious tourists and neighbors. So that everyone can enjoy the mesmerizing beauty of Córdoba courtyards. Of all the places mentioned in this list, the Rio Tinto Mines are, probably, the most off the beaten path place. It’s a shame because it’s not every day that you can visit an unusual Martian landscape with ferric soils and a blood red river. NASA scientists have even visited Rio Tinto mines due to the similarities of the local ecosystem with Mars. 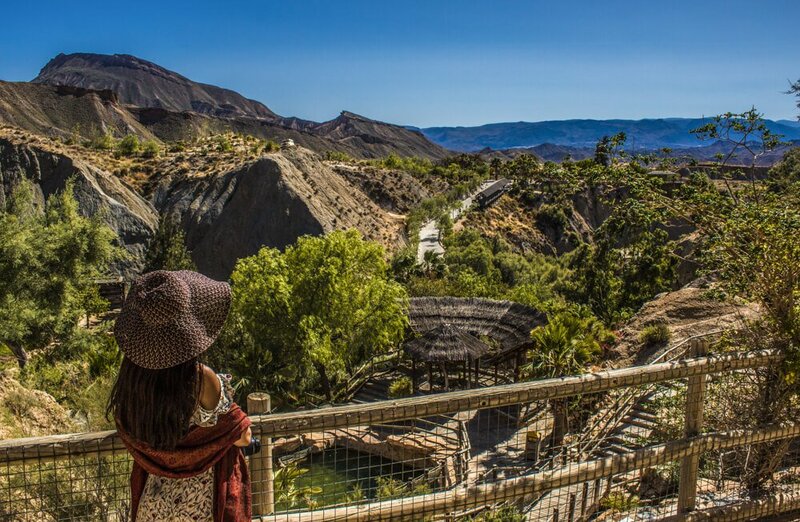 One of the activities not to be missed at Parque Minero Riotinto is the journey in a restored mining train of the nineteenth century, that crosses 22km of incredible landscapes. Disclaimer: It´s a pleasure to provide free information & advice to our readers. But, in order to pay our blog expenses and our vices (food & travel) we placed some affiliate links in this article, which means if you book through one of our links we earn a small commission, at no extra cost for you. 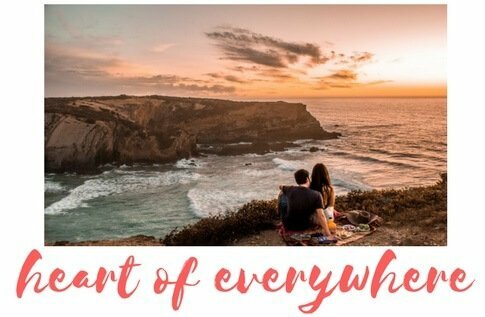 Join us to discover unique hidden gems in Portugal and throughout the world!